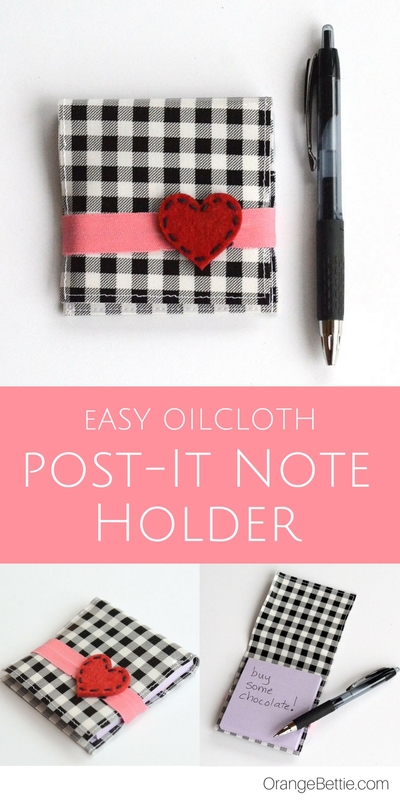 This oilcloth post-it note holder is darling and SO SIMPLE to make! A great teacher, friend, or neighbor gift! It can also be adapted with different cloth types. 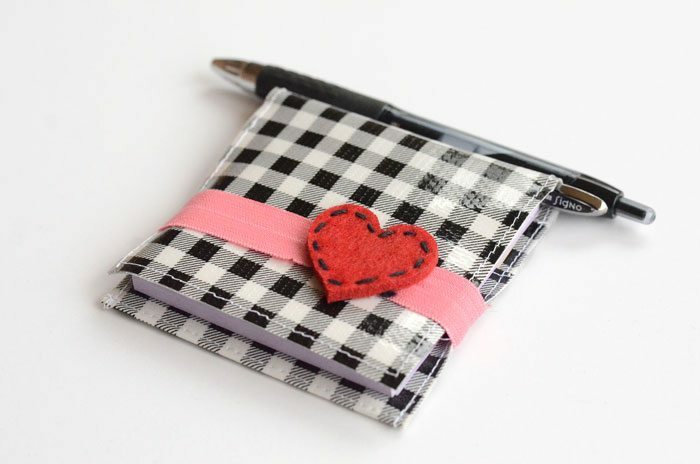 Handmade teacher gifts for Valentine’s Day seems like a great idea when you’ve got one kid with one teacher. But when you’ve got several kids, and some of them have more than one teacher, it’s easy to half a dozen teacher s on your gift list. This post-it note holder makes a great teacher gift, even when you’ve got a large teacher gift list! It’s the perfect size to toss into a purse or tote. It’s made from oilcloth so there’s no need for finishing raw edges. You could use faux leather or a high quality felt if you prefer. A square of plastic canvas sewn into the back of this post-it note holder to give it body. 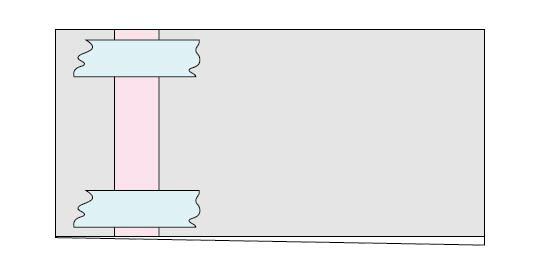 The closure on this post-it note holder is simply a band of fold over elastic that you can flip to the back to open, or to the front to keep the flap closed. Finish it off with a felt heart, or maybe some decorative buttons. Or leave it plain if you want to keep it super simple. You could make a whole stack of the post-it note holder gifts in an evening and have handmade thoughtful gifts for all the teachers on your list, plus some to give to friends! 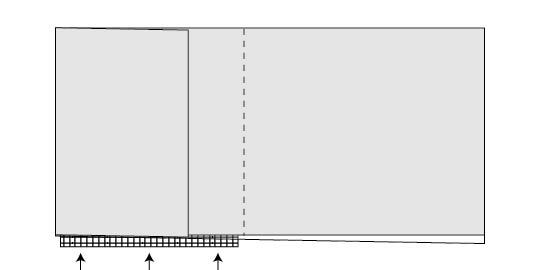 Fold the oilcloth in half the short way so it measures 3.5” x 9”. Finger press to crease. Top stitch close to the folded edge. 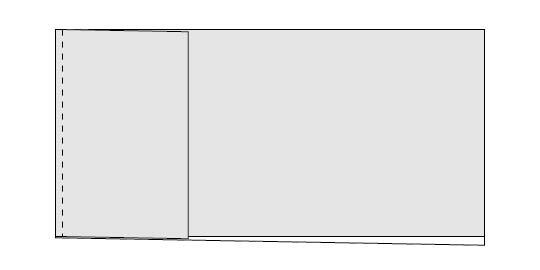 Fold the folded edge over another 2 ¼”. Finger press to crease. Remove the tape. Turn the piece back over, so the elastic is now on the back. Insert the plastic canvas between the two back layers, then stitch across the oilcloth 3 ¼” from the stitched (folded) edge. Use washi tape or masking tape to mark your stitch line. 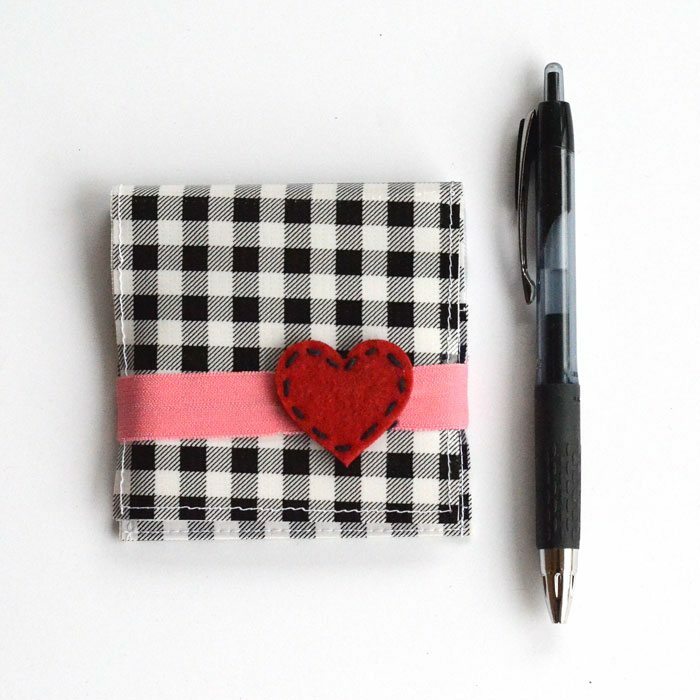 Tip: Use washi tape or masking tape to mark a straight line across the oilcloth. Stitch around the three unsewn sides 1/8” from the edge. Insert post-in note in the pocket. Fold the cover over, and flip the elastic around to the front to secure. Stitch and/or glue a heart embellishment on the elastic. If you love this project then you are sure to love the Fringed Heart Flannel Scarf that I shared last month. « The Best SEINFELD Recipes, Crafts, Printables & More! That is super cute then I saw the scarf at bottom wow o wow what fun and both projects look so easy! I am so glad to find these via the inspire me monday link up today yay! I love to give small gifts to family and friends for holidays and just because I’m thinking of them. Your post-it note holder is adorable. I know my college-aged daughters will love it, too. Thanks for sharing at the This Is How We Roll Link Party at Organized 31. That is so cute and practical.